All comic book fans, this is a must download app for reading and thumbing through the best material in the funny book universe. 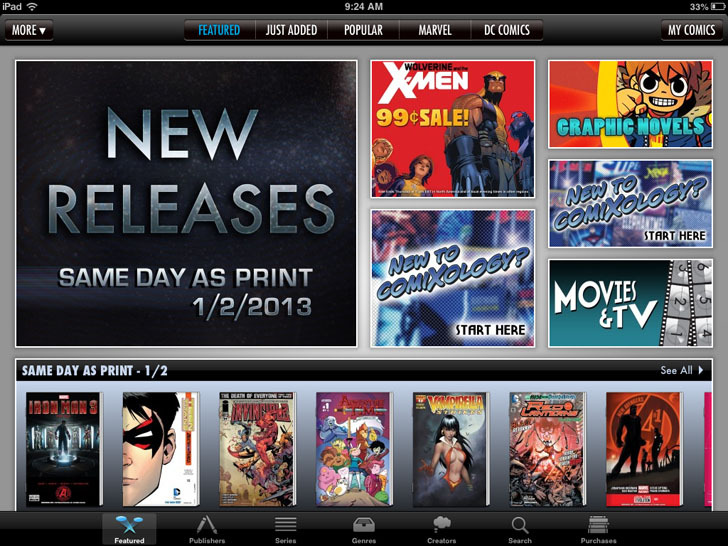 Enter: Comixology the leader in the comic book digital world. It provides an impressive, up to date, unique, catalog for your comic books; check it out!